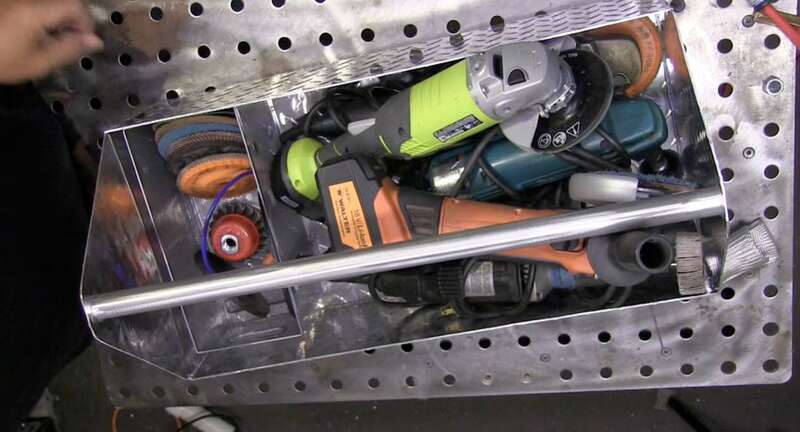 I built an aluminum tote tray to hold grinders, grinding wheels, sanding discs, and several grinders. Its going to rest on the top shelf of a welding cart I build some time ago. I like to have several grinders with different type wheels, pads, or wire brush attachments instead of one grinder that requires me to change wheels a lot. Some people like to keep things simple with one angle grinder but I dont like changing wheels. I have a Metabo 6 inch angle grinder that was given to me by my friend JD Brewer...several Ryobi angle grinders, 2 straight grinders, a 4" makita angle grinder, and 2 cordless grinders....and several others. I like to keep a Walter flap disc on one, a 2" sanding pad on the makita, a flapper wheel on a straight grinder, and I also often keep a wire cup brush on one of the cordless grinders for stick welding because the cordless grinder does not spin fast enough to sling wire off the brush. All this said, I thought it would be nice to have a nice aluminum tote tray to hold a few grinders and accessories. After all, that is what I had in mind when I built the welder cart. 100 amps on AC using a foot pedal, using an ac balance setting of 33% cleaning, and a frequency of 100hz. 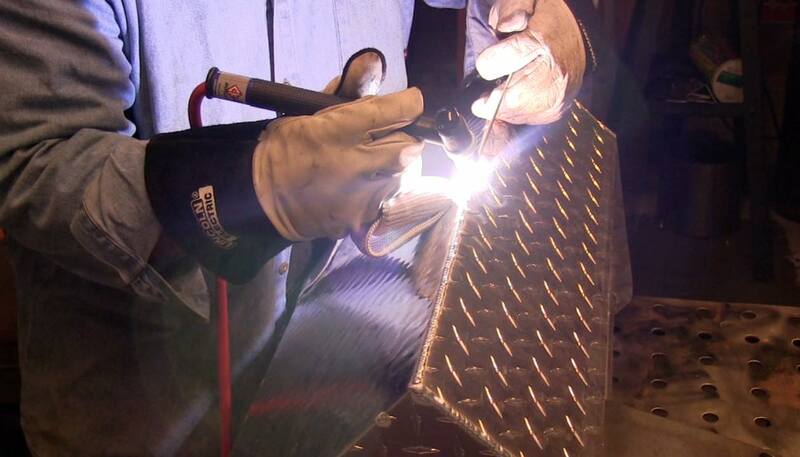 3/32" (2.4mm) 2 % lanthanated electrode and 3/32" (2.4mm) 4943 filler metal. Maybe one day I will have a sheet metal brake to make projects like this go better but my guess is a lot you reading this dont have one either. It might have taken just a few minutes longer to make this aluminum tote tray project, but it came out pretty good and will be very useful for me going forward. I will eventually settle on the grinders and accessories I use most and keep them in this tote ready to go. I can also see loading this tote tray with certain grinders and wheels suited for field work. And who knows? I may even make another one for tig torch accessories like tungsten, cups, trailing shields, purge fittings and more.